Is it time to break up… or just financially break up with your partner? 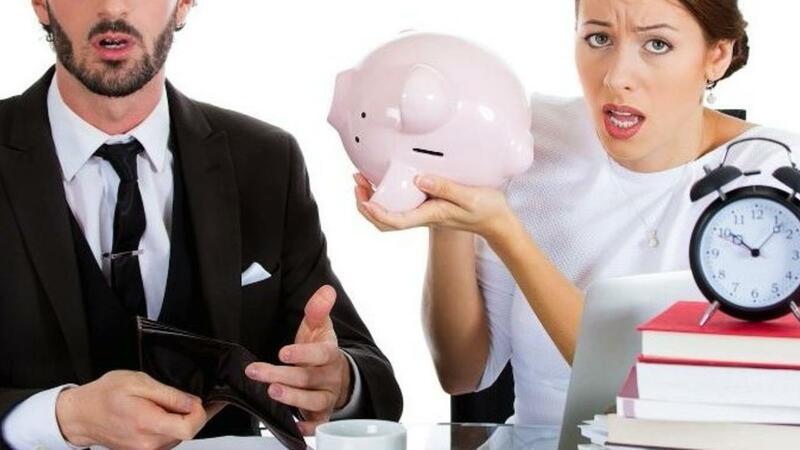 It is time for Australian women to step up, take control of their financial future and consider financially breaking up with the men in their lives. Stereotypes about men and money need to be thrown out the window. The stark reality is that women need more money in retirement than men so it is our responsibility to look after ourselves and make that happen. Financial stress is often cited as the top reason relationships break down so I am asking more and more couples this: why not take it out of the equation? That way they can be certain they remain in the relationship for the right reasons and not just for a sense of financial security. With one in two women saying that dealing with money is both stressful and overwhelming, it is time for a revolution in the way women engage with money. The first step to a successful financial breakup and being on the road to financial independence is to understand the financial personalities of both you and your partner. Being aware of your individual financial personalities will reveal what triggers are behind the financial decisions you make. There are six different financial personalities that I have researched over the past 10 years as a financial planner: Spender, Frugal, Helper, Savvy, Overwhelmed and Resilient. Each of these financial personality types makes financial decisions differently. Importantly each has good qualities so it is not about judgment. The second step is to understand how financially independent you are. As they say: a man is not a financial plan. To do this we need to establish how much money we actually need today and in the future. The two questions to ask yourself are, "Without your partner's financial contribution how long could you financially last?" and "Would you be financially secure in retirement?" The final step is to decide on the level of financial independence you are seeking. For some, it is about taking the step towards complete financial independence. For example, I have clients who have funded their own maternity leave, as they want to be in control and do not want a sense of being reliant on their partner. They also want to be in complete financial control in deciding when they go back to work. Many couples today keep separate bank accounts, own separate investments and simply just have one joint account for those combined expenses, such as the home mortgage and bills. Not only does this allow each of you to build your own financial independence, it also takes money out of the relationship, allowing you to each feel empowered and focused on the things that really matter emotionally to the two of you. If you find yourself in a position where you are not financially independent or you fight with your partner about money, it is worth considering taking the opportunity to financially break up. So how do you go about starting the conversation? The first thing is to gain knowledge about your financial options. Write down what financial independence means to you and then have an open and honest conversation with your partner. Do not forget that if you need help, turn to a professional Financial Planner who can act as the independent third party. They will work with each of you together and independently to ensure each of your objectives are met without conflict. Once you get to the end of the process, the benefits are that each of you now are responsible for your own financial future and the issue of money has been stripped out of your relationship. This, in turn, removes money as a stress point ensuring you are now in the relationship for each other and not for financial security. Our promise to you is to keep you informed of our latest news, and updates to help you design your lifestyle and plan for your future.